How to Quickly Improve Your Credit Score With Tradeline? All our work is guaranteed! “A” rating on Google and Facebook. Check out our reviews. How to improve credit scores is a simple process of either removing negative items, and/or adding positive data. At Boost Credit 101 we add Authorized User tradelines, which are positive data, and once they post you will receive a credit boost. If you have a poor credit score, you will need to either pay to add positive data, like tradelines, or apply for something secured, and settle back and wait months, if not longer, to apply for something secured. Only then will your credit truly start improving. If asking how to improve credit score quickly, adding tradelines or some other form of positive data is the only way. By doing this, you can cut nearly a year or longer off of building your score to the approvable range, and many times far beyond that. Tradelines come in two different varieties, installment and revolving. Installment can be auto, mortgage, student loans, and personal loans. These are collateralized and do no impact credit as much as revolving lines do. Since there is no collateral with revolving tradelines, they are unsecured–in that sense they are a form of signature loan akin to “I owe you in good faith,” and can count for a much as 70% of the credit score, which is why revolving tradelines are the best answer to “How to improve Credit Scores?” there is. How to improve credit score fast: that’s the question you want answered. First off, it’s good to understand what credit is. Credit is like a cocktail, or a dish, that contains many different ingredients: i.e. utilization, age, payment history, inquiries, number of accounts, etc. Having even one of these categories in poor standing will drop your score drastically. If you are in a position of poor credit, adding tradelines (putting positive data on your reports) is the easiest way by far to increase scores which is one of the great tricks to improve credit score. Adding lines affects all categories of credit but inquiries, and adding lines will increase your available credit, thus dropping your overall utilization. All credit cards should be under a 30% utilization, and ideally under 10%, at all times. If you have utilizations over 30% then it won’t be adding tradelines that does the most help, but paying down your existing balances. Balance transfers can also help reduce a high utilization on a particular card if that is an option. Removing negative data takes far longer than putting on positive data. Since the credit reports have a month to respond at the quickest, the fastest you can expect is to improve credit score in 30 days. And even then, just removing negative data might not move your score significantly, as without things helping to push your score up, the negatives dropping off may not affect your score, if at all, though you’ll be in a great position for large jumps at that point adding tradelines as this one of the best ways to improve credit scores fast. Boost Your Credit Score in six easy steps. Do you have a bad credit score? Probably, why else would you be here? But the good news is: your credit score doesn’t define you, not fully, and it’s not permanent. There are many ways to get it in better standing, and adding tradelines is one of the simple ways to improve credit score. 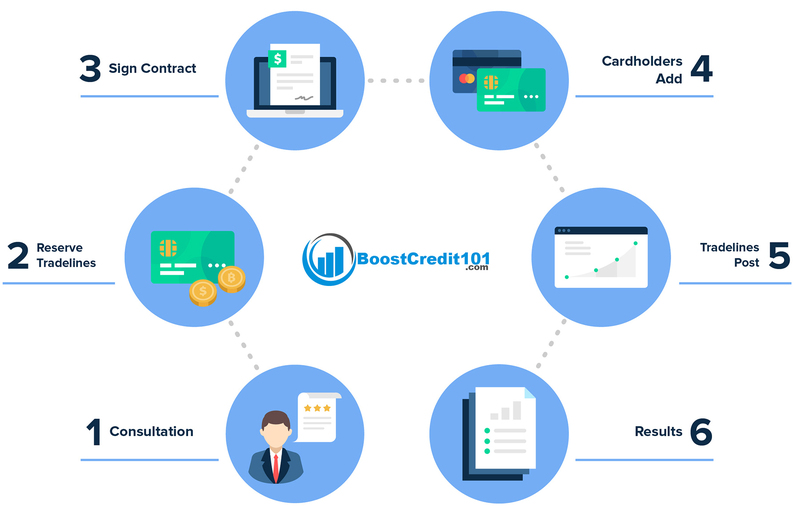 Here are the six steps we at Boost Credit 101 utilize. Consultation — We will look at your reports, free of charge, and give you the best path to improve your scores. Select Tradelines — This will depend on your goals, budget, time frame, and existing accounts you have already. Provide a contract — Any company that does not enter into a contractual obligation with you that clearly outlines guarantees is not one you want to do business with. Clear communication — tradelines and credit are not something taught in school, or anywhere really. In that way credit is a bit like the medical field. Specialists up to speed on the industry are required to make sure things are outlined correctly, and expectations set appropriately. Adding lines — Having to pay to improve credit score may seem frustrating, but after we add the lines and you see results, you will be happy to see your score improve, sometimes dramatically. Customer Service — At Boost Credit 101, we take your life and your situation seriously, and we are always here to answer any questions you may have. We understand that you have big things on the line, and with utilizing tradelines, which can improve your credit score by 100 points, sometimes more, we have a great record of customer satisfaction. <pstyle=”text-indent:30px;”>How long does it take to improve credit score is one of the first questions people ask us. This all depends on your needs. 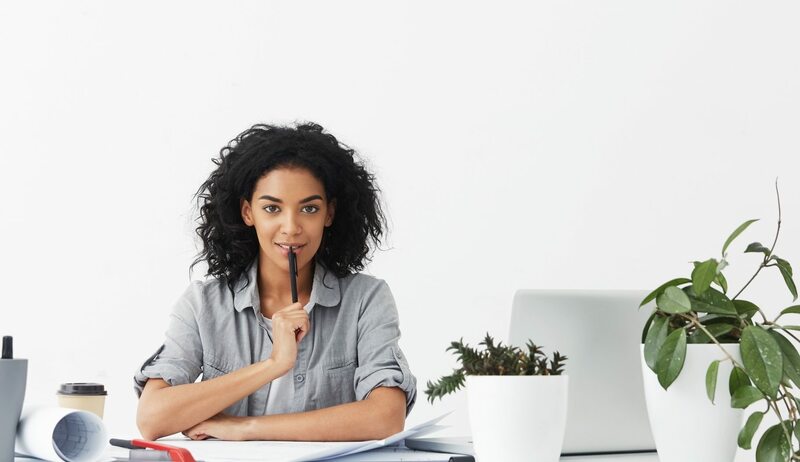 If you require traditional credit repair where negatives are removed, this can take anywhere from two to six months, and there is no guarantee because you are simply challenging the negatives, so results may vary. Removing negative accounts: e.g. medical collection, utility collection, repossession, foreclosures, a public record (like judgement), bankruptcy, late payments on revolving or installment accounts is simply cleaning up the mess, but in order to create a positive power curve to boost the credit score, you have to have positive credit references which are revolving tradelines. With adding tradelines, our guarantee is that we will post lines within 60 days, but the average time is two weeks, and usually the longest wait time is 30 days. Adding tradelines is one of the best ways to improve credit score and usually the fastest, as going the traditional route, getting a standard bank product–getting a secured card, utilizing a savings loan that reports to the bureaus, etc–can take up to a year or longer before you are able to get approved for your own unsecured products. 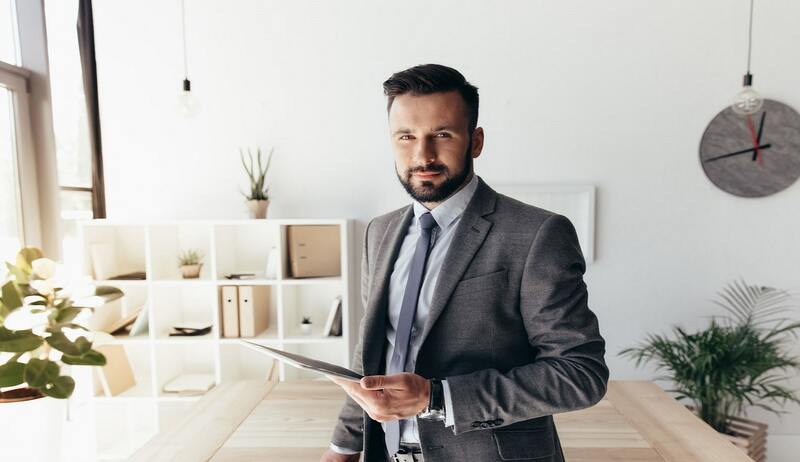 And make no mistake, getting a credit card to improve credit score in your own name is the best way to set yourself up for long-term credit success. People ask about primary tradelines all the time, but the best, and only legal, way to get primaries is to have them in your own name. And if you’re asking ‘how quickly does credit score improve’ with your own card, this is a semi-moot point, as once you have the approval, your score(s) may dip, but will recover quickly. If you’re asking who can improve my credit score, we would consider ourselves the best on the market because of our combination of superior customer service and access to an advanced software that streamlines the process of improving your credit scores. And to that ever-present question of ‘how fast can your credit score improve?’, we can do it in as fast as two weeks, which is our average, sometimes even faster. Why Should You Improve Your Credit Score With Us? At Boost Credit 101 we don’t view you as just someone we sell products to. We understand you are a person, a family, someone with dreams, and we do our best to communicate clearly about everything we offer, including products, guarantees, time frames, expectations, and the like. With tradelines there is a human error element, reps can transpose numbers, misspell names, etc, but we will never take advantage of you, and you will always get what you pay for. We are experts with tradelines and their use, and they are the best way to improve credit score there is. A brief note on do-it-yourselfer’s: it is best to consult with a professional tradeline company. We see people that add their friends or relatives, or purchase from amatuer tradeline sellers, and this can damage your credit if the lines are overutilized or have even a single missed payment. There are a lot of companies as well as random people on the net especially Craigslist that offer tradeline services. Since tradelines are one of the easy ways to improve credit score, anyone who has discovered them has the ability to offer them. After all, it only takes access to someone with credit cards that have good history, limits, and perfect payment histories. Choosing Boost Credit 101 means you are choosing a company that has been in the business of helping and educating people for over five years. It is our goal to help you not just improve your credit, but truly understand what credit is. Credit is essentially a big basket of data which is interpreted and analysed on a daily basis; the credit score is not a constant but rather a behavioral pattern of risk and reward. Because of this, credit is very similar to physical fitness. It takes time, commitment, and conscious diligence to achieve and maintain good results. The good news is: it’s far, far easier to achieve and maintain great credit than it is to get a six-pack! Any account that shows on your credit report is a tradeline. This includes mortgages, student loans, auto loans, personal loans, credit cards, etc. At Boost Credit 101 we use Authorized User tradelines to boost credit scores. “Authorized User Tradelines” is a fancy way of saying “credit cards.” Any person who has a credit card has a certain number of AU spots they can add people to. When a person is added, the lender, be it Chase, Discover, TD Bank, and others, reports the data to the credit bureaus. The data being reported is the payment history, limit, and age. When this positive data is reported, the credit score goes up. Someone may ask, why don’t I just have a friend or family member add me to their cards? This is certainly possible, but this can do more harm than good, as the utilization may be high, which hurts the score, or they may have missed payments (even one negates the positive effect of the data). This is why it is smart to utilize a company like Boost Credit 101, as we have an inventory of cardholders nationwide who have contracts with us guaranteeing their cards have perfect history and remain below 10% utilization.